SascoSports was started in 1977 by Charlie Gibson and Dave Handy, from Charlie’s house in Fairfield, CT. Their first commercial shop was in Stratford, Connecticut. SascoSports specialized in serving customers in various classes of vintage and contemporary racing. We started selling Dunlop vintage racing tires in 1980, and now stock and service 4 major brands for all types of cars. SascoSports moved to Danville, VA in November, 1999, to a temporary 20,000 SF building. As soon as the first industrial building in the Virginia International Raceway Raceplex was completed, Sasco moved across town to VIR. Our prime location within this incredible venue gives us the advantage of being able to thoroughly test drive a racecar at either VIR circuit before taking it to a race. We can also rent the track to develop a new car to suit a driver and the circuit. The Raceplex is on the VIR property such that we can drive any race car, even one with minimum ground clearance and slick tires, right into the paddock without gravel roads, speed bumps and public roads. Our custom-built 10,000 sq ft. facility houses a complete inventory of race tires and work space for race cars. The big news in vintage racing in 2000 was the re-opening of a new road racing course. Harvey Siegel, a long time vintage competitor, had obtained the lease to the old Virginia International Raceway. The original course which closed in 1974 was 3.27 miles long and had an elevation change of 130'. The new VIR encompasses the original circuit, widened to modern standards with all trees and drop-offs removed to negate the need for gravel traps and tire-lined guardrails. In addition, the main course has been divided to allow an interesting 1.6 mile south course and a 2.2 mile north course which can be used simultaneously. There is a paddock area servicing each track with paved access roads and electric power available to all in the paddock. The track re-opened in the spring of 2000 with a full slate of vintage, SCCA and club racing events, and open practices and schools. Under the guiding hands of Harvey Siegel and his partner Connie Nyholm, the facility has received international acclaim as one of the world’s most beautiful and challenging circuits and continues to push the envelope of what a racetrack can be. Recently Harvey handed over the reins to Connie to run VIR full time. The nearest city to VIR is Danville, VA, a 50,000 population agricultural and manufacturing city with a wide variety of hotels and restaurants. It is home to a large Goodyear truck plant and former headquarters to the Dan River Fabrics Corporation. The track is located off North Carolina route 57 about 10 miles east of Danville, VA. One actually goes through Milton, NC, to get to VIR. Dave was born in 1959 and raised in Redding, Connecticut. He was your typical high school athlete playing baseball, basketball and many other sports. In 1974, his dad took him to Lime Rock Park and he was hooked on racing. Dave's first project was a non-running 3.8 Jag sedan. He was able to get the car back on the road and turned it over to his dad after a couple of years driving it himself. After high school, Dave continued to work in a couple of shops doing mechanical work and some restoration. In 1977, Charlie invited Dave to work with him at his house, working on Charlie's cars, which at that time were a Mk 1 Lola and also doing a ground up restoration on his 1959 Lister Chevy which was eventually purchased by John Evans of Canada. 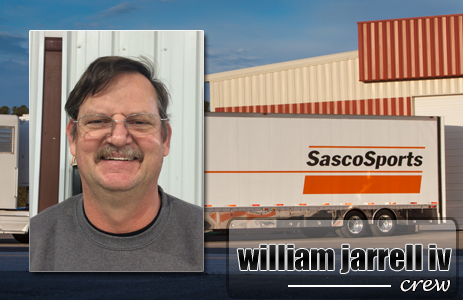 In 1988 when Sasco moved into its first commercial location, Dave had two children, Jillian and Ryan, who were often seen at the track with Dave. As the business has grown, Dave, of course, has grown with it. Today, Dave and his award winning crew oversee the maintenance and prep of dozens of customer race cars. In addition, SascoSports services the tire needs of racers at over 30 events per year. Dave gets on the track regularly in either his Brabham BT29 or his Swift DB2 S2000. Driving his Brabham in 2010, he not only won the Monoposto Formula B Championship for the third year running, but also the SVRA group 2 sprint championship and HMP's Monoposto Classic championship. 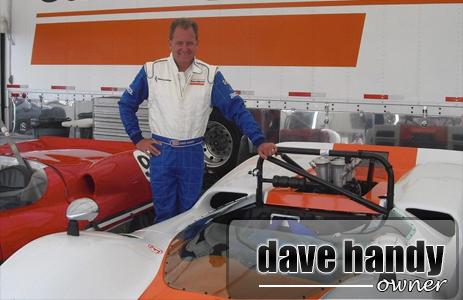 In 2014, Dave won the SVRA US Vintage Racing National Championship in Group 2. Robyn has deep roots in classic cars and vintage racing through her father's passion for cars and his past automobile transportation business. She worked for the Sportscar Vintage Racing Association from 1991-1994 and helped start the Vintage Drivers Club of America in 1999. During this time Robyn raced the famous Passport Transport MiniVan at many race tracks around the country. Recently the Mini came full circle back to Robyn and she is now racing it in select vintage races. 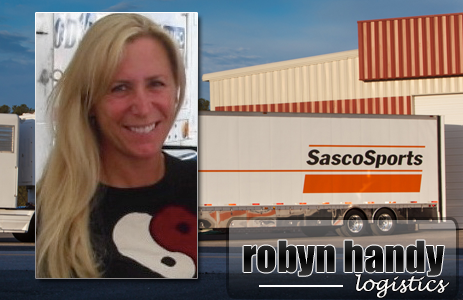 Robyn manages all of Sasco's logistics including travel and hospitality for our crew and customers. In addition, the company marketing and social media efforts are handled by her, including all those pictures you see on Facebook during and after each race. In her spare time, Robyn and her husband Dave take care of their 6 rescued dogs and 2 cats at their home near VIR, aptly named Handyland. They are very involved in dog rescue and frequently have many foster puppies and dogs in their home. In 2017, they founded Vintage Racers for Rescues, which raises money for several dog rescue groups for which they foster. 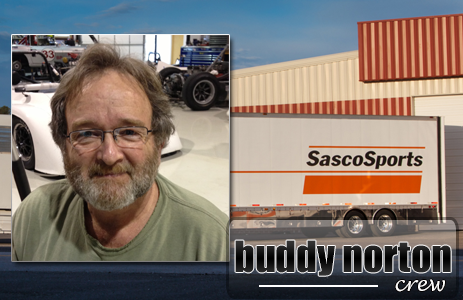 Buddy joined SascoSports in 2012 after working decades in racing on a variety of race cars. He is a familiar face to racers near and far and is a tremendous asset to our team. Buddy is also a very accomplished race car driver who can sometimes be found racing Denny Wilson’s Lotus 7. 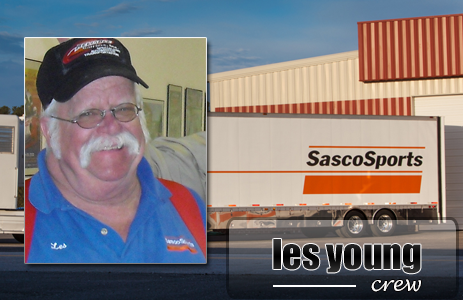 Les has worked on cars his entire career, and has been working on race cars with Sasco for 15 years. Les is as enthusiastic as they get watching Sasco customers race! Les worked on cars at VIR back in the original days of the track so he has some great stories to tell about racing in the good ol' days. 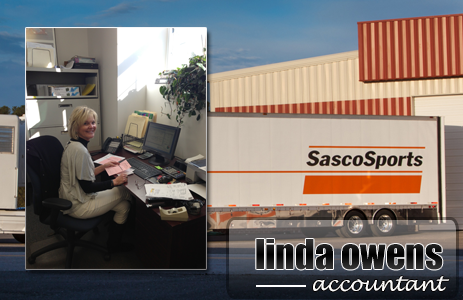 Linda has been with Sasco since 2002 as the part-time Accountant. She takes pride in keeping things running smoothly, particularly while the crew is on the road at the races. When not at the shop, she works full time as the Executive Director of a nonprofit foundation that awards scholarships and grants to children. She also loves spending time with her family, playing golf and going on camping trips. Fred joined Sasco in the fall of 2014 and has been busy working in all areas of the company since his first day. You will find him alongside our tire team at the track as well as assisting with race car prep trackside and in the shop. 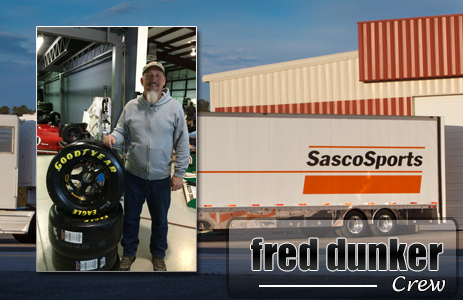 In addition, Fred drives one of the Sasco semis, safely transporting customer race cars and tires to and from the track. 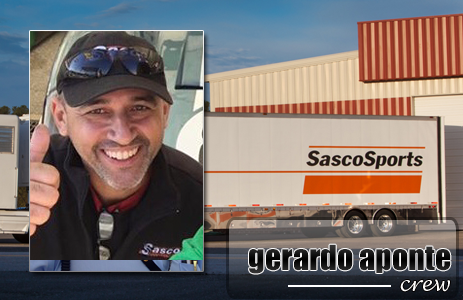 Gerardo (Jerry) joined Sasco in the Fall of 2018 and he has been full speed ahead ever since. Jerry caught the racing bug at the young age of 5 when his father had him racing go-karts. He was a natural and won 6 championships in ten years of racing in Puerto Rico and had three top 5 finishes at the WKA winter nationals in Barnsville GA. As a teenager, Jerry raced a production modified RX7 and a GTU RX7. After 25 years as a Toyota master technician Jerry finds himself again amongst familiar smells and sounds doing what he loves. 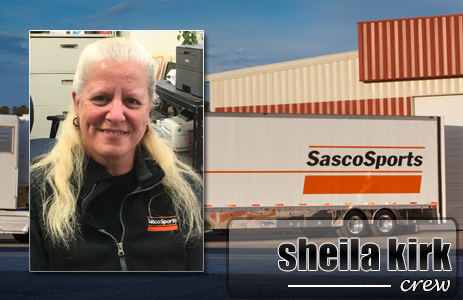 Sheila brings over 20 years of combined management, warehouse and customer service experience to our team. She is always eager to jump in wherever needed and will often be the friendly voice you hear when you call Sasco. In her time off, she enjoys cooking, reading, travel, outdoor activities and spending time with friends. William joined Sasco because of a lifelong love of racing, and vintage cars in particular. William's parents owned and operated a British car repair garage and raced a Daimler SP250 very successfully for many years. William started working on British cars at a very young age and as a teenager began racing as well. He still has his dad's Daimler SP250 which he is now restoring himself. He has worked in the automotive industry for many years, including 20 years as a Toyota Master Technician. He is extremely happy to have joined Sasco and returned to doing what he loves. Ben has been working on cars and heavy equipment since his childhood in Earlybranch, SC. He has fond memories learning mechanical skills from his father and his uncle during his teen years. After high school Ben went right to work for Goodyear where he was immediately immersed in the tire industry for 6 years. He then worked for a race tire distributor for 4 years before joining the SascoSports team in 2017. 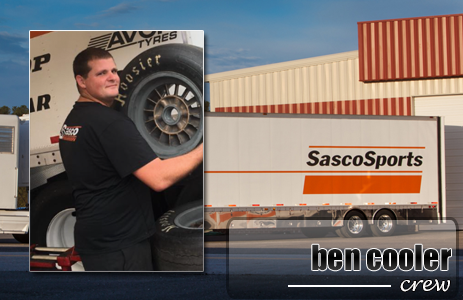 In addition to bringing a wealth of knowledge to our tire team and working hard trackside mounting and balance tires, Ben is also one of our truck drivers who ensures our race cars and tires arrive safely to the tracks around the country. Look for the guy with a smile on his face and there is a good chance that is Ben. Charlie Gibson, one of the partners of Sasco Sports, spent most of his adult life involved in car racing, and particularly in vintage racing for over 25 years. Charlie, who was born in New York, attended Williams College and Harvard University and earned his MS in Engineering and ultimately an MBA from Harvard. While attending college, he was a very active as a competitive alpine skier and later served as the President of the U.S. Ski Association. In 1962, he began working for IBM in marketing and held a number of different assignments in marketing, engineering and business before his retirement in 1988. Charlie started racing a Sprite in '59 and then acquired a two-year old Lotus 23. In 1967, Charlie was the SCCA GM National Champion in the Lotus. From 1972 to 1976 Charlie ran a Formula Atlantic March in the Canadian Players Atlantic Series against such luminaries as Bobby Rahal and Gilles Villeneuve. In 1977, he started SascoSports with Dave Handy in a shop which was part of his house, preparing his own and customer cars. Also in '77, Charlie acquired a McLaren M6B Can Am car which he started racing in vintage racing. Charlie was always present at the track, and attended more than 35 events each season, both as a competitor, as the supplier of racing tires representing Dunlop, Goodyear and Avon, and as a supporter of a number of customer racing cars. 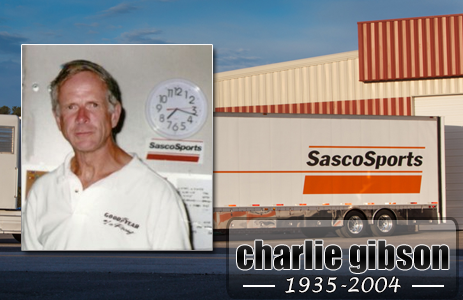 You would always find Charlie "working his tail off", mounting tires, dealing with customers' tire problems, customers' vehicle problems and then hopping into a car and being totally competitive on the track. The amazing thing is that he performed all these things very well and continued to maintain a happy and friendly outlook. Charlie, was a two-time winner of Monoposto's Gilles Villeneuve Memorial Trophy, which is the top trophy for the series and a member of the Road Racing Drivers Club. He was one of the most approachable, interesting and knowledgeable people in vintage racing. He was a tremendous asset to our sport.